IPad – Ability to save simulation results on a server (a user server on company Intranet or NSI server on the Internet) for downloading/viewing on iPad (or other tablets). Server Simulations – Ability to run simulations on a high speed server (leaving local computer free for other tasks), either a user server on a company Intranet or a NSI server on the Internet. When a simulation is completed, the results are saved to a database for downloading to a computer or tablet. 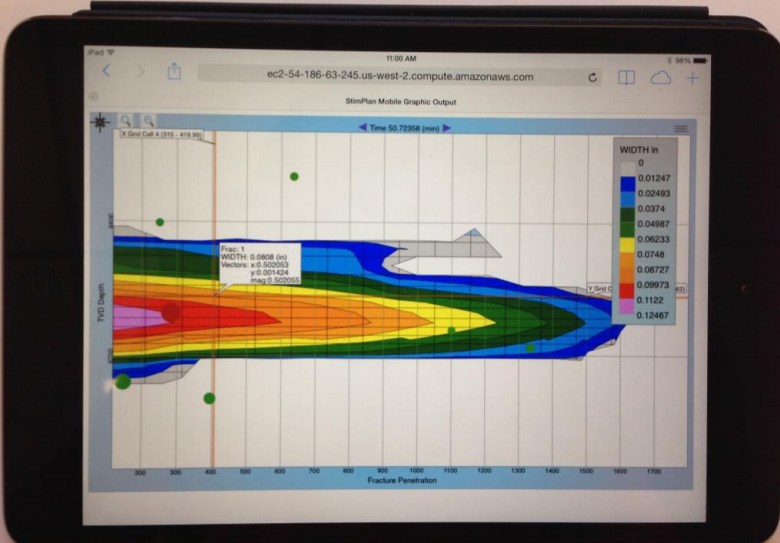 Graphics – Graphically view simulation results for multiple wells. Geologic Model Output – Direct output of geomechanical layering to EXCEL file. 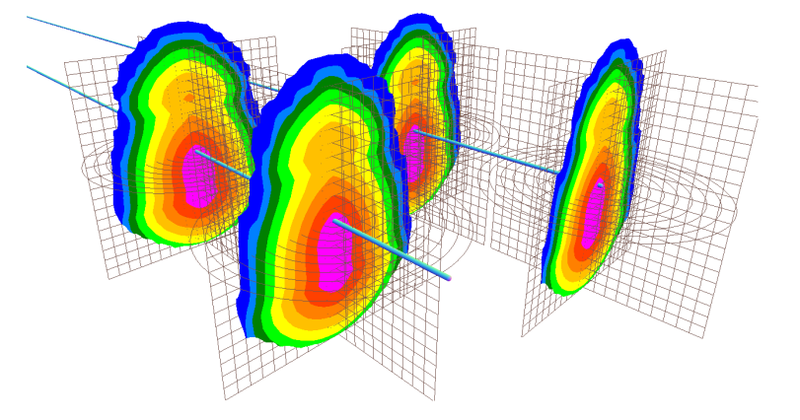 CMG – Direct output of gridded fracture simulation results as input to Computer Modeling Group reservoir simulations. This joins the direct output already in place for other reservoir simulators such as “Well whiz” and Halliburton’s “QuikLook”. Layer Numbers – A small change asked for by many users; adding Layer Numbers to the layers defined in “Logs”. Advanced Acid Fracture Conductivity Calculations – The latest research results for determining acid fracture conductivity will the available. DFN Reservoir Simulations – The Discrete Natural Fracture Network inputs can be transferred to the reservoir simulation for a rigorous simulation of a natural fractured reservoir. Stage-to-Stage Interference – direct inputs for performing Stage-to-Stage interference simulations.